Star Wars: Battlefront II is working to overcome its image problem following a controversial release. A new season of content, related to Han Solo, hit the game today. Its smattering of character skins and a map lifted from 2015’s Star Wars Battlefront provide little for those hoping the game will bounce back from its rocky start. Battlefront II releases large waves of content in events called “seasons,” which come with a specific theme. The first season coincided with the release of The Last Jedi and added new multiplayer maps, hero characters, and an epilogue to the game’s single-player campaign. In addition, all players were asked to pledge allegiance to either The First Order or the Resistance and complete daily challenges to earn rewards for their faction. While the story mode epilogue failed to impress, the new maps and heroes helped round out the multiplayer experience. 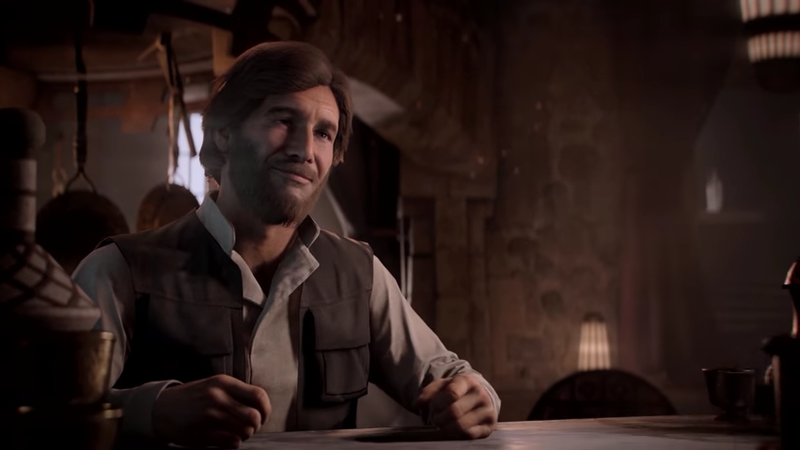 In contrast, this newest season—the Han Solo season—is disappointing so far. The season kicked off today with little fanfare, offering an underwhelming array of minor additions. 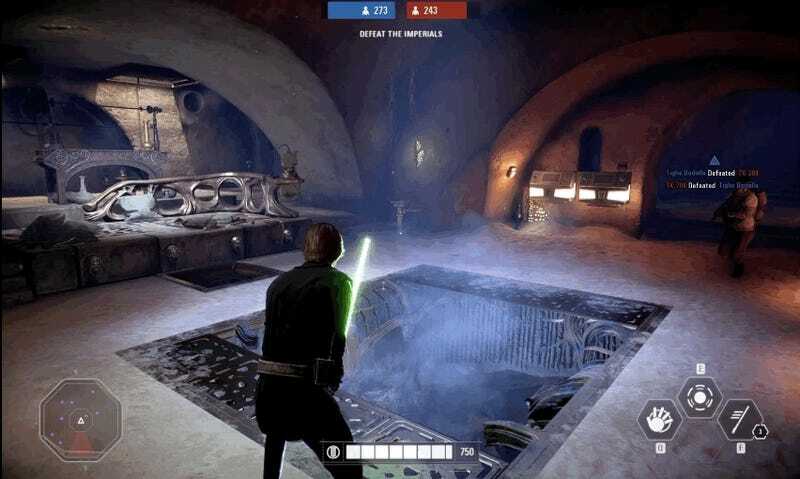 Chief among these is a new map, Jabba’s Palace, and skins for characters like Leia and Lando, the former getting a disguise as the bounty hunter Boussh and the later receiving a skiff guard outfit. Both of these are well-known looks from Return of the Jedi that add more customization options for the game’s revamped, cosmetic-focused progression. But Jabba’s Palace, unlike The Last Jedi season’s Crait assault map, isn’t even really new content. It’s almost a direct copy of a map from 2015’s Star Wars Battlefront. There’s also an additional heroes vs villain mode variation pitting two-person teams against each other, but that’s just a tweak from an already existing mode. It kinda feels like that. At least for now. EA has said that a second wave of content will come to the game in June based on the upcoming film Solo: A Star Wars Story, but as of now there are no details about what that will entail. This is a different approach than the first season, which received a fair amount of hype and even a roadmap outlining exactly what the new additions would be. The Han Solo season received no clear roadmap or details. Today’s meager offering and the lack of communication from EA led to creation of an open letter to the developers on Reddit. Battlefront II has had a tough time since launch. An initial progression system where advantage-granting “star cards” could be earn through loot boxes proved so unpopular that EA disabled all microtransactions the night before the game’s release. Microtransactions returned last month, affecting cosmetics only. Step by step, Battlefront II has worked to win back the crowd. Scoundrel-themed heroes and maps could be the perfect way to recapture players’ imaginations. But the first part of this season is not encouraging, and without any information of what’s to come, players are likely to…rebel.